Progressive Rock with breathtaking female vocals and great harmonies by a group of excellent musicians. Ciccada is a progressive folk rock band from Athens Greece. They were formed in April 2005 by flutist Nicolas Nikolopoulos and guitar player George Mouhos. Very soon female singer Evangelia Kozoni joined the duo and this is the core of the band until today. The line-up also includes a bass, cello, drums, clarinet and several organs played by truly good musicians. "A Child in The Mirror", their debut album, was released in 2010 on CD on the Italian Fading Records label and became immediately a success. The first 1000 pieces pressing was sold out in just a few weeks and there is also a Japanese CD pressing on the market. One of their new songs has been chosen to be included in a forthcoming MUSEA compilation, containing the best progressive contemporary European groups. 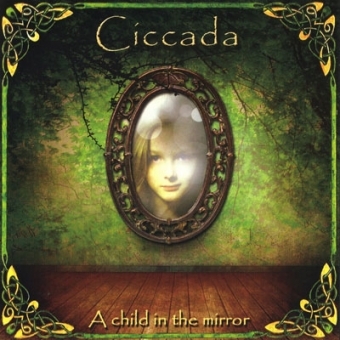 "A Child In the Mirror" was voted 8th best progressive album worldwide for 2010 at progarchives.com. Distinctions well deserved by this progressive rock album containing original songs with breathtaking female vocals and great harmonies by a group of excellent musicians. Highly recommended! 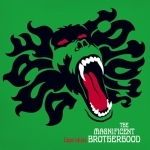 First time on vinyl, deluxe 180g double LP, thick gatefold cover, limited edition, mostly English lyrics. Side Four contains 4 unreleased tracks, among them great versions of Spirogyra´s "Old Boot Wine" and Steeleye Span´s "The Blacksmith".